Fat burning foods are natural weight loss foods that burn fat for you by speeding up your metabolism. You’ve decided you want to lose weight because you want to be healthier, happier and feel better about how you look. Good for you. Now you need to know which foods to build your diet around to make weight loss easier. The answer to this question is natural fat burning foods. They are naturally low in calories which means you can eat more of them. They are more satisfying which means they will keep you feeling fuller for longer. They are hard to digest which means your body has to burn up more calories in the digestion process. They are packed full of nutrients which means you will look and feel healthier. Over the years it's become second nature for me to choose natural food which will not make me gain weight. But it hasn’t always been like this, in fact, as a child I was always on the chubby side and although my mum used to call it “puppy fat”, it made me feel shy and self conscious about how I looked. At school I hated games and PE, I couldn’t run as fast as my school mates, or jump over hurdles or maintain any energetic activity for as long as they could. By the time I was eighteen I'd lost all my "puppy fat", but it taught me a lesson I will never forget, because when I moved out of the family home and started cooking for myself I was always aware of how easily I could regain that unwanted weight if I didn't stick with the natural foods I had been brought up on. The truth is, I can gain weight as easily as anyone else and I sometimes do but it’s not the end of the world because occasional slip ups are easily put right when you make natural food the foundation of your diet. One of the main reasons people gain weight is they eat more calories than their body needs. And this is so easy to do if you consistently eat the wrong foods. Many people are totally unaware of how calorie dense some foods actually are. In particular junk foods, fast foods, convenience and processed foods contain high levels of salt, sugar, fat, additives, preservatives and other chemicals. These foods are calorie dense yet offer hardly any of the vital nutrients needed to keep you healthy. 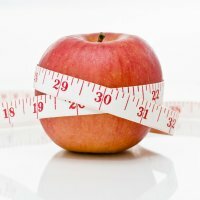 What does calorie dense mean? This refers to food that contains a lot of calories but it doesn’t leave you feeling as though you’ve eaten enough. This is why it is so easy to eat too much of these foods without even knowing. Although you may think you hardy eat anything and you have cut back all you can without starving yourself, it may just be you are eating the wrong type of food and a few little adjustments could make a huge difference to the amount of weight you lose. In contrast, natural fat burning foods are extremely low in calories, they will fill you up and keep you feeling fuller for longer. Which means you won’t feel the need to snack in between meals. Is your diet food keeping you overweight? Your normal diet may be keeping you overweight, even if you buy pre-packaged diet food marked as low fat, because the food manufacturers are making a fortune selling you low fat products designed to keep you overweight. Pre-packed diet foods to avoid are those that do not fill you up or make your feel satisfied. They leave you feeling hungry and craving more. This is because the fat has been removed but to make the food taste better sugar has been added in its place. And, of course, sugar will turn to fat if it’s not burned for energy. If the program you are following means eating very small portions that leave you wanting more then it is not a natural fat burning diet. This may sound like a contradiction but, believe me, you will find losing weight much easier if you eat more of the right foods. This is because, the best fat burning foods are very satisfying, you will not feel hungry or suffer cravings. In fact, you will need to have a healthy appetite just to reach your daily calorie allowance. This is because these foods are naturally low in calories so you can actually eat more, feel full and still lose weight. The power foods for weight loss are foods in their natural state with nothing added and nothing taken out. Before I give you a list of the best fat burning foods to eat to speed up natural weight loss I want to take a few minutes to simplify how and why some foods are better at burning fat than others. When you eat, your body has to digest your food and process it, for this it uses energy from stored fat in your fat cells. You could argue that, in this case, all food has a fat burning quality but this is not so. To use this effectly the food you eat must use up a lot of stored energy during the digestion process so that you do burn fat and this is determined by the food’s thermogenic value or how much energy expenditure is required for you to digest it. Some foods have a higher thermogenic value and this triggers what is known as the thermic effect of food (or TEF). The higher the thermogenic value of the food you eat the harder your body has to work to break it down and digest it. Your body burns calories during the digestion process and according to the American Journal of Clinical Nutrition the thermic effect can last up to six hours after you have eaten your meal, and this is known as postprandial energy expenditure. How Do Some Foods Burn Fat? Usually the food you eat causes your body to burn about 10% of the calories you have eaten during the digestion process. So if your meal contains 500 calories you will burn 50 calories simply by digesting and processing it. If you consume 2000 calories a day then your body will burn 200 calories digesting it, this soon adds up when you look at how much fat you can burn in a week or even a month just by eating the right food. Many foods have a thermic effect to some extent, because all food has to be digested and processed but some foods are much lower than others and will not have the same effect. In fact dietary fat, for example is so easily processed and turned into body fat that there is very little thermic effect, maybe only 2 or 3%. So if you eat a diet too high in fat, most of that fat is going to end up being stored in your fat cells because it will not be burned off by the thermic effect. Unhealthy fats are found in many processed foods, fast foods, sweets and snacks. Natural fats are essential to your health and well-being. In fact, your brain is 65% fat, hormones are made from fat, the outer layer of every cell in your body is made from fat. Good fats benefit your heart, normalize your blood fats and cholesterol, and can help to prevent cancer. So you should never go on a low fat diet unless your have been advised to by your doctor. According to Mary G. Enig, PhD most people are cutting all the fat out of their diet and wondering why they aren't losing weight. "Fat actually sends a signal to your brain to tell you when to stop eating. So, if you don't get enough fat in a meal, you will never feel completely satisfied and will usually end up overeating. Including good fats when you eat helps to control and regulate your appetite so you don't have to eat as much to feel satisfied." Incidentally a gram of fat contains 9 calories whereas a gram of protein or carbohydrate contains only 4 calories. Allow for this when you prepare your meals around proteins, fats, and carbohydrates. Hardly any of the calories in fat will be burned off by the thermic effect but they are necessary for your health. Note: the key here is to include good fats that are from natural sources such as butter, olive oil, coconut oil, cream, lard and dripping. Processed foods also have a very low thermic effect and this is one of the main reasons why you should avoid them if you're trying to lose weight naturally. Research studies carried out by The Department of Biology, Pomona College, Claremont have found that the consumption of processed foods lead’s to a 50% decrease in postprandial energy expenditure, (how long the thermic effect lasts after you have eaten). It was concluded that this reduction in daily energy expenditure has potential implications for diets comprised heavily of processed foods and the association of this type of diet with obesity. Therefore, your diet must consist of foods that are more difficult to digest and require your metabolism to burn stored energy from your fat cells. Lean proteins are widely accepted as being the best fat burning foods because they make your body work the hardest and your body will burn the equivalent of 30% of the calories it contains; this is why it is so important for you to eat lean protein with every meal so that you trigger the greatest thermic effect every time you eat. This also explains why you will lose weight naturally if you eat 4-5 small balanced meals a day instead of processed snacks during the day and 1 huge meal in the evening. You can see now why going on a diet and not eating enough will actually stop your body burning fat. Another benefit of eating these foods is they are generally nutrient dense yet low in calories. So not only will you be eating less calories you will be burning more energy to digest them. A win, win situation. Now that you understand how and why some foods burn fat more efficiently you should be able to make more informed choices when looking for the best foods to eat to help you slim down. You should be focusing on natural and whole foods because these will deliver fewer calories, more nutrients and will also be harder for your body to break down and process. When it comes to protein - you must think lean. Remember, your body will find it really easy to digest fat but you want it to burn fat so you must choose lean protein with all the fat cut off. You can choose from chicken breast, turkey breast, grass fed beef, game, all fish, shell fish, eggs, whole milk, natural unsweetened yoghurt, and nuts. When it comes to vegetables - think bulk. Make them green or fibrous. Choose from asparagus, green beans, broccoli, brussel sprouts, cauliflower, cabbage, carrots, and salad vegetables etc. When it comes to fruit - think anti-oxidants. The fruits containing the highest amount of anti-oxidants are berries – blueberries, blackberries, cranberries and strawberries etc. Citrus fruits are good fat burning foods, they contain high levels of vitamin C which is scientifically proven to help burn fat because vitamin C is a vital chemical used by your body in the process of fat metabolism. Calcium in dairy products such as cheese, milk and yoghurt help to break down the fat stored in your fat cells so they should also be included in your list of foods to eat unless you suffer from high cholesterol. If you do suffer from high cholesterol you may not be able to include these, it’s always advisable to ask advice from your doctor if you’re in any doubt. You do need to eat some natural starches and you can get these from whole grains, brown rice or potatoes. Keep portion sizes small, no more than 1/3rd of your plate. When putting your meals together you must take into consideration the amount of calories you need to survive. The main reason for your body not burning fat is you may not be eating enough once you have cut out all the unhealthy snacks and processed foods. Through basal metabolism - the energy cost associated with keeping your body alive and at rest. Basal metabolism represents about 60 percent of energy utilization for most people. The more a person weighs, the more energy is required to sustain basic bodily functions. A 70 kilogram (155 pound) man burns on average about 1,800 calories before he does any activity. A 60 kilogram woman (132 pounds) burns about 1,400 calories. Processing your food requires energy. 10% of total energy expenditures during a day comes from the thermic effect of food. Your fat and calories are burned by physical activity. Here is a list of natural slimming foods that will help you burn fat naturally, the more foods you can eat in their natural and raw state the better. Vitamin C burns fat by liquefying it so your body can easily flush it out of your system. Vitamin C is also a vital chemical your body uses to burn fat in the process of fat metabolism. Choose foods that are naturally high in Vitamin C such as - apples, berries, broccoli, cabbage and citrus fruits. Apples and berries also contain Pectin, which restricts the amount of fat your cells can absorb; it forces your cells to discharge fatty deposits. Berries such as blackberries, blueberries, black and red currants, raspberries and strawberries help to detox your body, boost your metabolism and make your body more efficient at burning fat. Broccoli, cabbage, milk and milk bi-products such as cheese and yoghurt contain Calcium. Calcium aids natural weight loss because it speeds up the process of breaking down the fat content in your fat cells. Protein burns up the most calories and is a power food for weight loss; choose food that is naturally high in good quality protein such as eggs, lean meat, all fish and especially tuna, salmon and sardines, and nuts (the unsalted variety). Some nuts are high in fat so eat these in moderation. Some vegetables contain more calories than others, in particular be cautious with potatoes, sweet potatoes or yams. With vegetables try to think green or fibrous because these contain less calories, are hard to digest and are bursting with essential vitamins and minerals. If you do eat potatoes keep their skins on as in jacket potatoes because the skins contain insoluble fibre. Broccoli, spinach, sprouts, green beans, peas, cauliflower, cabbage and carrots are all excellent sources of vitamins and minerals yet extremely low in calories. Another advantage with vegetables is they do not contain any fat and their carbohydrate levels are low. Steaming is the best way to cook your vegetables, next is boiling them or you can stir fry them with healthy oils such as olive oil, rice bran oil, sunflower oil, or sesame oil. Nuts are an excellent source of high quality protein and you can add them to salads, breakfast cereals or eaten on their own as snacks. Nuts are naturally high in essential fatty acids so although you shouldn’t eat large quantities in one sitting they do deliver healthy fats that your body needs for building a strong cell structure. Almonds are particularly high in vitamin E; you can also eat walnuts, cashews or pecans. If you have brittle teeth and usually avoid nuts for fear of breaking your teeth you can use ground nuts instead. Garlic or Garlic oil are both good for your natural weight loss, they assist in the reduction of fatty deposits. Green tea will boost your metabolism and speed up the rate at which your body burns fat. It also contains powerful anti-oxidants with anti-cancer and anti-heart disease properties see Power Foods. Hot peppers also speed up your metabolism and help to burn more calories but to a lower degree than most people think; you would have to eat more than is normally palatable, so you don’t have to eat hot peppers unless you actually like them. Whole grains and oatmeal contain fat-absorbing insoluble fiber, which not only keeps you satiated and feeling full and bursting with energy but they also increase your metabolism by burning fat and calories. My favorite breakfast cereal Sultana Bran is a good example of a simple breakfast you can have that is rich in insoluble fiber. Insoluble fibre does not add to the build up of fat in your body, on the contrary it assists in the process of reducing your stored fat. Olive oil is the oil to use. It comes from natural sources and helps to keep your cholesterol levels down. Soup made from natural ingredients is a tremendous appetite suppressant. The traditional habit of serving soup as a starter prevents you eating too much in the main course. Try it yourself and you will find the amount of food you can eat in your main course will drop dramatically. Also read Fat Burning Soup Recipe which includes a 7 day fat burning diet plan. Soybeans (natural not hydrogenated soybean oil) contain the chemical lecithin, which protects your cells from accumulating too much fat and helps in the break down of fatty deposits in your body. Water cleanses your body inside and out, it flushes out your system and removes harmful toxins. You must drink plenty of water to aid your natural weight loss, your body consists of 70% water and it needs replenishing daily. As I mentioned earlier, protein is one of the best foods for burning stored fat but how much should you be eating? Watch as Isabel explains how protein containing foods are an essential part of any weight loss plan. Are you eating enough protein? Are you eating too much protein? Are you eating protein at the right times? Watch this video to find the answers. The foods to aid weight loss must contain less calories but require more complex digestion. Digestion and absorption of these foods must cause a high expenditure of energy to promote the fat burning effect for you so that you lose weight naturally. If you eat these foods regularly you should be able to sustain steady natural weight loss week after week until you reach your target weight. Let's be honest, it's not going to happen overnight. Just take one step at a time until you get there. You don't have to give up your favourite foods for ever. Be strong and think about how much losing weight actually means to you and how much it will change your life. Once you've reached your target weight you can re-introduce your favourite foods again in moderation. But don't make the same mistakes this time and remember it was eating too many of these foods that got you into this situation in the first place. Make the switch now to natural fat burning foods and I guarantee you will be healthier, happier and feel better about how you look. A fat burning diet is designed to make you burn fat fast by using fat burning foods that virtually do the work for you. If you choose diet fat burning soup, the fat burning soup diet will not only strip away unwanted fat from you but it will also give your body a much needed detox as well. Here you will find the recipe for making your own diet fat burning soup and a 7 day fat burning diet plan to kick start your weight loss. Fat burning spices are thermogenic foods that naturally speed up your metabolism and burn calories. Add fat burning spices to everyday meals and burn fat. If you life in the UK then you can have delicious diet meals delivered right to your door by Diet Chef. Enjoy losing weight with delicious, nutritiously balanced meals. Includes breakfasts, lunches, dinners and snacks so you don't have to worry about what to eat to lose weight easily. Have your own personal diet Chef to do all the shopping, preparing and cooking for you take the hassle out of losing weight. It’s very easy to feel intimidated when you first begin your natural weight loss diet. The truth is, there are some very basic dieting rules that when followed will give you the natural weight loss results you are looking for. There is no greater motivator than seeing positive results. Proactol Weight Loss Pills have the ability to help you take out up to 28% of your dietary fat, suppress your appetite, decrease food cravings, as well as lower your blood cholesterol. Read Laura's Success Story - She began losing weight at the rate of 6lbs a week when she turned to Proactol for help. Buy Proactol for 1/3 of the original price with maximum discount and get up to 66% off the recommended retail price. Proactol is now considered to be the best weight loss pill available, and is one of the leading high quality natural fat binders in the industry. At present, it is a sad fact that children are getting bigger and obesity in children is an alarming problem that needs addressing. If your child is over weight but refusing to eat healthy meals, you can still help them to lose weight without having a battle on your hands, by using child friendly recipes they will love to eat. Keywords/Tags - fat burning foods, fat burning food, natural weight loss foods, natural weight loss. Are Your Fat On The Inside? BMI is a number calculated from a person's weight and height. This calculator provides BMI and the corresponding BMI weight status category. Use this calculator for adults, 20 years old and older.